It's surprising how often we run into rapidly growing companies that not many people have heard of, here in Southern California, but that's the case with El Segundo-based NEOGOV, which has quietly built an enterprise software company supplying human resources software to the government and public sector. The firm recently showed up as one of the fastest growing companies in LA as part of the Deloitte Fast 500 rankings. We caught up with Damir Davidovic, CEO of NEOGOV, to hear about the rapidly growing (and hiring) company. 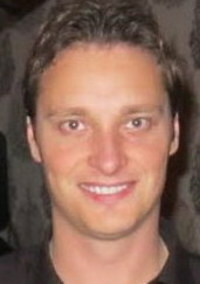 Damir Davidovic: NEOGOV is a cloud-based, human resources suite. It basically covers recruiting, performance, evaluations and appraisals, onboarding, and we're also now working on full, back-end HR management, managing things like absence tracking, timesheets, etc. Currently, we have over a thousand customers, with customers ranging from anywhere from 100 employees to clients with more than a 100,000. Most of the top 100 cities and counties in the country are our customers, and twenty out of fifty states run all their recruiting and HR through our system. We're the clear leader in government, and we have 25 times more customers than our nearest competitor. If you look at the commercial sector, and look at the landscape, there are companies like Taleo, SuccessFactors, and Workday. We do that for the public sector, mainly state and local governments. How did you come across the market? Damir Davidovic: We started working with government agencies in the area awhile back. Their goal at the time was to accept resumes online. We quickly found that government has a much different process of hiring than the private sector. There are lots of checks and balances, and they're very accountable about how they hire. In the private sector, you can hire anyone. But, in the public area, as you can imagine, if you're mayor of a city you can't just hire your buddies. There's accountability built in, and everyone has to go through the same hiring process, get asked the same questions, go through the same hurdles, and there's a lot more of an objective and scoring evaluation process for each candidate. Systems like Taleo and the others completely lack the process involved, an deal mainly with a resume search and matching, which couldn't be used in government. It looks like you've had quite fast growth, what has been driving that growth? Damir Davidovic: What's driving that growth, is we have established a standard in the public sector for agencies and organizations using our system. It's really been word of mouth and referrals within that community. The government and public sector is a fairly large market. Basically, fifteen percent of all jobs are in the public sector. We have really been spreading around lots of organizations across the state, through word of moth and referrals from satisfied customers. In addition, we have launched a performance management suite, the parallel in the public sector to something like SuccessFactors. New products we've launched include performance, onboarding, and backend HR functionality. We expect much larger growth in the next three years than we saw in the past, because we have lots more products to sell. In the past, we had been a one product company. A lot of software startups have shied away from serving public institutions, despite a big market, due to concerns about how slow they adopt things. How were you able to find success there as a startup? Damid Davidovic: One of the things we first noticed, was there were not many players in the market. Those there certainly didn't tailor their products to serve that market at all, which is why we saw the opportunity. No one was really focusing their products and services for those customers in a good way. We saw that opportunity, and executed. It does take a long time to penetrate the market. It took us maybe four years to rack up our first ten clients. After that, once we got the recognition, trust, and customers starting providing word of mouth and referrals, it was a much easier process. For us, it's been much easier to keep expanding our market share in the government, that it took to initially crack it. It's also taught us a lot of discipline by being in the public sector. Companies here are really held accountable to what is in the contract, and how their products are implemented. That's really a lot of different from what typically happens in the commercial sector, where most startups are flying by the seat of their pants. How difficult has it been to have public institutions accept software-as-a-service, and where is that now in general? Damir Davidovic: That's a good question. When we first started, back in the day, government were very shy about implementing SaaS. They all wanted to deploy the service at their location. We were very stubborn from day one, that this was SaaS, and we did not want to offer an on-premise product, and that it's not even an option. We didn't want to break our business model. But, as we gained adoption, and the barrier got much smaller, especially when se started signing up very large agencies, such as Orange County, the City of Los Angeles, and the State of Washington. Once those states were signed up, and did lots of due diligence, it went easier. Event now, we're one of the only SaaS solutions that these government agencies have. In the last three years, especially since the recession, government has really been forced to look into saving on their IT costs, and they've really been forced to look at the concept of ROI, where SaaS is the perfect solution. There's been a huge shift in preference towards SaaS versus onsite installations in the last three years. It went from early adoption to really accepted as a standard, almost. Damid Davidovic: What's really exciting is we've launched another concept this year, which is basically a fully blow human resources, software-as-a-service platform. It's also positioned to compete in the commercial sector. We're looking at it as an alternative to Taleo, SuccessFactors, Cornerstone On Demand, and so on. As you know, SuccessFactors was bought by SAP, Taleo was bought by Oracle, and the only independent companies left are Cornerstone OnDemand and Workday. For the last few years, we've been working on our full blown human resources platform, which is built on the latest technology. That platform, called HRCloud (www.hrcloud.com), is a spinoff of our company, and our goal is to bring this out the marketplace. It has all of the main modules you need for HR, including recruiting, performance management, onboarding, and an HR suite, but it also has the concept of an app store, very much like you have an app store on the iPad. You get enterprise apps, like you might buy an app on Google Play or Apple iTunes or Amazon. An example of some of those apps would be handling vacation requests, time sheets, online time clocks, job sharing, ride sharing for employees, etc. We're building many of the apps ourselves, but we're also running hackathons for developers to build other apps, and working with partners to build apps into our app store. We're looking to make it more of a HR platform in the cloud.